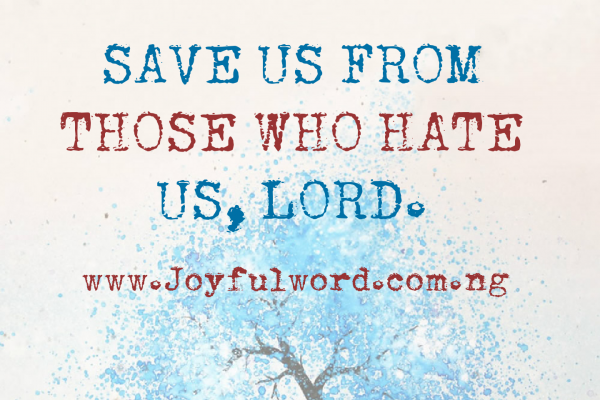 SAVE US FROM THOSE WHO HATE US, LORD! The Readings of this time are gradually bringing us closer to the Passion of our Lord Jesus Christ. To see how the innocent Lamb was unjustly condemned by those who claimed that they were observers of God’s commandments and laws. The readings are giving us various accounts of how just people were being condemned to death for no just reason. The readings are presenting to us the stories of people who experienced unjust judgment in the hands of their adversaries because they were doing the will of God. Are such injustices and evil plots existing in our present-day society? Does this wickedness, unjust condemnations and hatreds exist among the Christians of the 21st century and even inside the Church? The answer is yes they do exist and this calls for sober reflection. But why this wickedness and hatred against those who are doing the will of God? Imagine the Pharisees, the Scribes, and the elders the so-called custodians of the law always looking for a way to indict Christ. Plotting left, right and center to destroy Him. Watching if his feet will slip off in order to eliminate Him instantly. The story is the same today and even in a more scientific way. The prelude of what Christ suffered in the New Testament was exactly what Jeremiah suffered in the hands of his own people just because he told them to seek the Lord and live as recorded in the first reading of today “Jeremiah said: I hear so many disparaging me, “Terror from every side!” Denounce him! Let us denounce him! All those who used to be my friend watched for my downfall, ‘Perhaps he will be seduced into error. Then we will master him and take our revenge!’ But the Lord is at my side, a mighty hero". The Question one may likely put forward is this; why did the Pharisees and the Scribes hate Christ this much to the extent of calling Him an impostor? What crime did he commit? Just because He was trying to show them the way to the Father, to liberate them from the dungeon of misinterpretations of the laws and Prophets, to elevate them from their horizontal level to that of vertical level of knowing whom the Father is in truth and in spirit and to help them know the true meaning and correct interpretations of the Laws and Prophets which they claimed that they are the custodians of such. 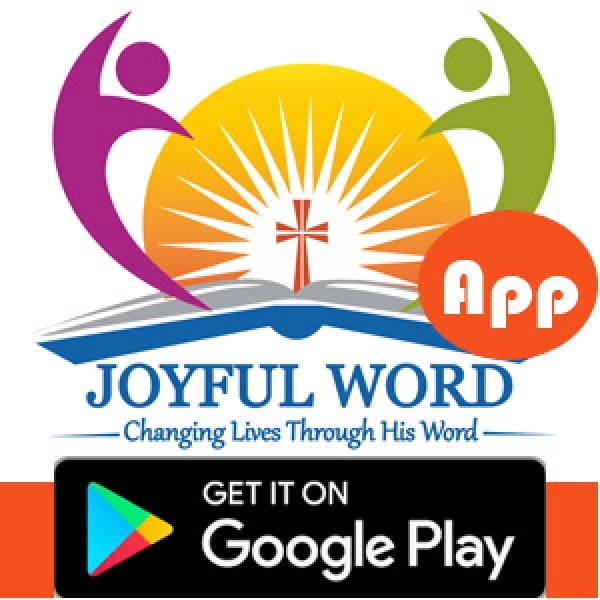 From the attitude of the Jewish authorities right from the beginning of Christ’s earthly ministry until the time it was ended, there was never a time they believed in Christ nor in the work He did. No wonder Christ cried out in the gospel of today saying "even if you refuse to believe in me, at least believe in the work I do; then you will know for sure that the Father is in me and I am in the Father." So dear brothers and sister let us try to destroy every form of Pharisaic attitude and their wicked intention existing in our various Christian communities. Let us always seek the truth and stick to it instead of suppressing it for selfish interests at the detriment of the common good! For those who are being hated in the course of doing the will of God, let us not be discouraged. Let us always have Christ as our reference point who suffered injustice on account of doing the will of God. Also, let the prayer of the Psalmist today be our constant consolation too "In my anguish, I called to the Lord; I cried to God for help. From his temple he heard my voice; my cry came to his ears" Let Us Pray: Lord Jesus, give me the grace to continue to do your will even when I face persecution and rejection in the hands of people. Amen.